Well, that's a wrap. Once Upon a Time is finally over for good. Though the majority of the finale and new season was underwhelming at best, I couldn't help but feel a bit nostalgic by the final scene as the camera dramatically panned out from the half real, half CGI town of Storybrooke. 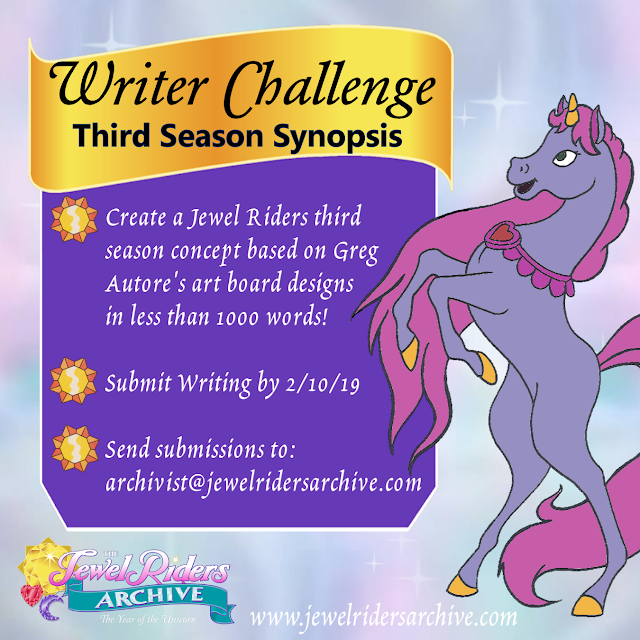 I didn't start this blog until the show was already starting its final season so my opinion toward it in the context of The Princess Blog probably comes off as somewhat negative. 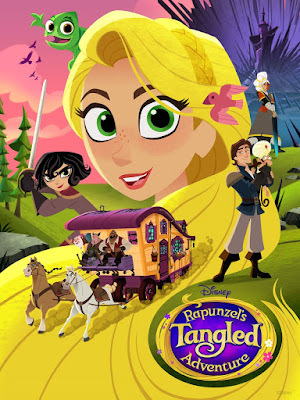 When this season started, I had some strong opinions about the way it introduced its new princesses such as Rapunzel and Tiana as well as the way it concluded the stories for its old ones such as Emma and Belle. Eventually, my rants stopped as the series tapered off into a slow build-up to the final episode. Was it the perfect send-off? No, but it was the best they could do with the convoluted multiverse that was formed over years of drawn out story arcs. 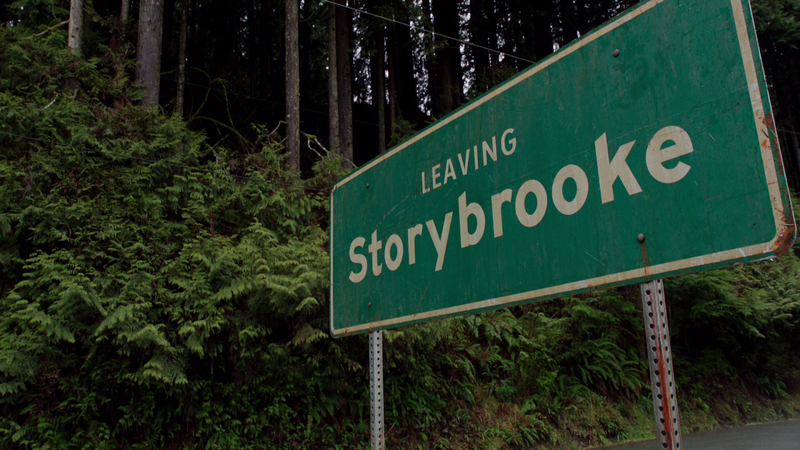 The series finale called "Leaving Storybrooke" took place mostly in the "wish realm," an alternate reality created in a previous season by the evil queen's alter ego, who used a genie to grant Emma's supposed wish not to be the savior, even though Emma had stopped wanting that for quite some time. Apparently, that didn't matter, and an entire other dimension was formed with doubles of every character except Emma, who had her memories rewritten (for the umpteenth time). Regina murdered the alternate versions of Snow White and Prince Charming but insisted that it was okay because it was another world so they weren't "real." Fast forward a few years, and everyone from that world is now "real," and the younger version of Henry came back for revenge on Regina for murdering his grandparents. Ugh, just typing that out makes me realize how much the show has gone downhill since the series premiere. 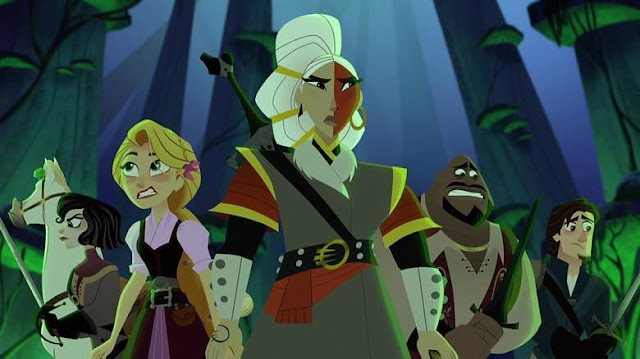 Anyway, the "real" versions of the cast, excluding Captain Hook, who was from the alternate world all along this season, banded together to defeat the alternate world's version of Rumpelstiltskin. Our own Rumpel succeeded in defeating him in the most predictable way possible that would secure his own happy ending as foreshadowed in the episode "Beauty." It would have been touching if there hadn't been so many seasons of him lying to and manipulating Belle leading up to it, not to mention Belle's betrayal of their wedding vows. That's the problem with shows that run for too long. They have to spend so many years building new drama that sometimes it breaks down the character growth we would have been left with if it ended earlier. Some seasons we were supposed to root for Rumpel, and others we were supposed to root against him. Regina followed a similar pattern, but her growth was actually consistent, which is why she received her well-deserved happy ending later in the finale. 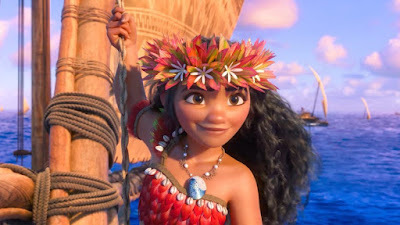 Of all the characters in the show, she had the most growth and remained the most interesting throughout all seven seasons. I need to hand it to the show's creators for finally writing a believable gay love story. Though I don't care much for Tilly and Margot individually (calling them Alice and Robin gets too confusing for me), together they have a ton of chemistry and form a very believable romance. All of the show's previous attempts at this fell short. Mulan's romantic interest in Aurora was overhyped and underplayed. Many people I've spoken to who have seen the show didn't even realize that Mulan was supposed to be gay because she never actually told anyone or acted on it. Alternatively, Ruby and Dorothy's one-shot whirlwind romance was so fast that it felt like they only wrote it as a last-minute effort to apologize to the audience for Mulan's story shortcomings. Tilly and Margot were the only gay couple on the show who had an adequate amount of time to establish their identities and form a relationship. The two actresses play off each other very well, and I loved how they made fun of the show's convoluted writing when they arrived in Storybrooke. The finale also saw the return of some missing faces from this season, namely Snow White, Prince Charming, and Emma Swan. It's shame they didn't seem to do much other than show up and say "Here we are." Emma's appearance was so brief that it was almost insulting for the modern princess who set off the whole series with a wish on her 28th birthday. 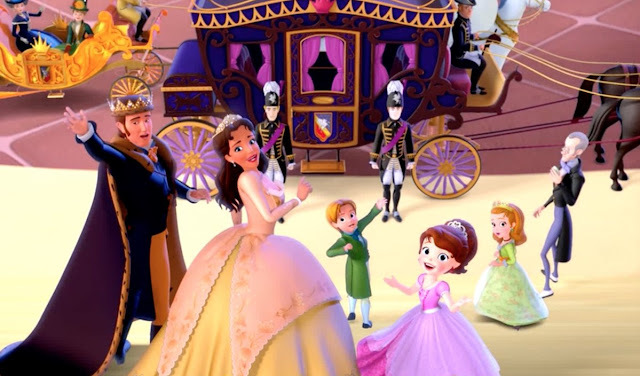 Her son Henry was also vital to the show's formula in the beginning, but his newly introduced relationship with Cinderella was underplayed in the finale. Many fans felt that the two actors had no chemistry, and that was all but confirmed when their kiss wasn't strong enough to break a curse when every other power couple on the show had the magic of true love on their side. For a show that went out of its way to prove that princesses heroines are just as tough as heroes, this incarnation of Cinderella has been awfully useless after punching Henry in the face and stealing his motorcycle in the season premiere. Once Upon a Time would have been a terrific concept for a miniseries in the vein of The 10th Kingdom, but after seven seasons, its age was showing. 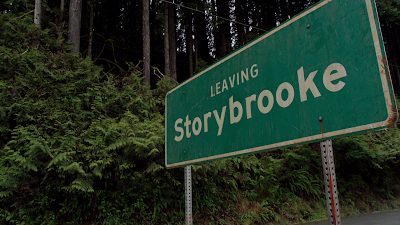 While the heavily CGIed shot of Storybrooke at the end was a little too close to Disneyland for my tastes, Regina's final act in forming it was touching. I enjoyed seeing her get rewarded after all these years of struggling. She deserved it more than any other character on the show after all she had been through. It just goes to show that it's never too late to believe in fairy tales even after your innocence is gone. I think that's the heart of Once Upon a Time. Since that did show through in the finale, it was not a completely wasted effort. In my opinion, the best thing to come out of Once Upon a Time will always be Once Upon a Time in Wonderland. Goodbye, Storybooke. Thanks for the memories. It was a good finale. 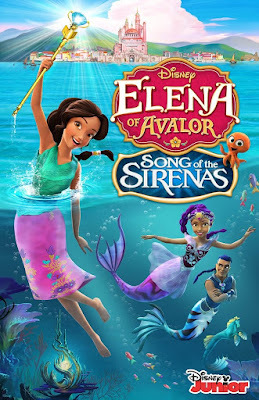 I got into this show during Season 3 due to a queen and a princess, them bringing in versions of Elsa and Anna from Frozen and I loved the new story they gave them (the Aunt Ingrid thing was a real tearjerker). I think deep down I did want for Regina to have a happy reunion with Robin but I don't think the writers really wanted to resurrect him and they showed Regina can have a happy ending without a boyfriend in her life (no other ending spoilers though in case others need time to view this ep). I know this is going to sound OT but I hope you got or get to see today's 2 new Mysticons eps already or really soon. Both eps had mind-blowing endings especially the 2nd one that aired today. 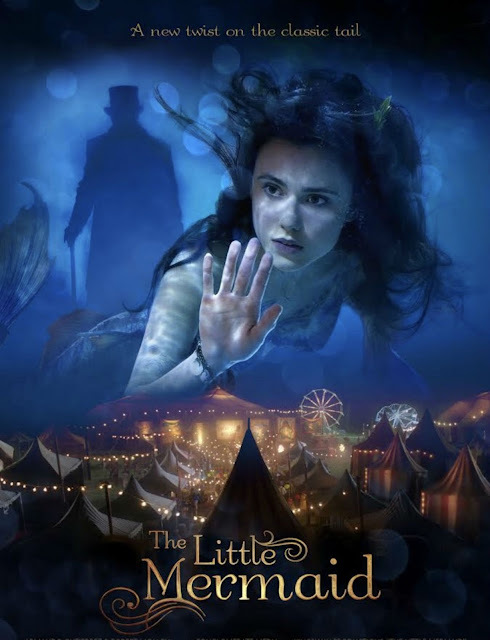 I'll take the Mysticon chat to one of your Mysticon blog threads to discuss my thoughts a bit more on those 2 eps later tonight or tomorrow (don't want to completely derail this blog thread's original OUAT finale focus too much). But viewing all 3 of these spectacular eps from 2 very different series over the last 2 days really has my head spinning, in a good way. Keep up the good work show writers! I did like how Once Upon a Time incorporated the original story of "The Snow Queen" as a precursor to Frozen. Perhaps you've seen my blog post "Everything Wrong With Frozen," http://www.theprincessblog.org/2017/09/everything-wrong-with-frozen.html in which that was my biggest complaint about the movie. I just discovered this site recently so I have not seen that Frozen blog post yet but definitely have to look it up. Fear not! Even though I had hoped to post Mysticons ep 32 and 33 comment and review stuff by the end of the day yesterday it did not happen! Between having to let my computer rest off and unplugged several times due to some passing storms and being busy with other stuff the time swept away so I'm more likely to make this post tonight or another day this week (if you need more *no spoilers* time let me know and I'll hold off a bit longer). But the almost ending of the 2nd ep "Game of phones" will definitely floor you and I will say no more to give you more time to see it as needed. I watch it when it airs early on Saturday mornings on Nicktoons (I really started to worry about the future of this show when it was moved from main Nick to Nicktoons and still wonder if it will have a Season 3 or if the story will just continue in the upcoming books). I'm not a Facebook member (very old school that way) but can definitely email you with thoughts on various shows too. Thanks for the offer. Fortunately, they posted both episodes on the website the next day, so I've already seen them. Zarya in a tiara was hilarious! I might use it as material for a future post. Cool! 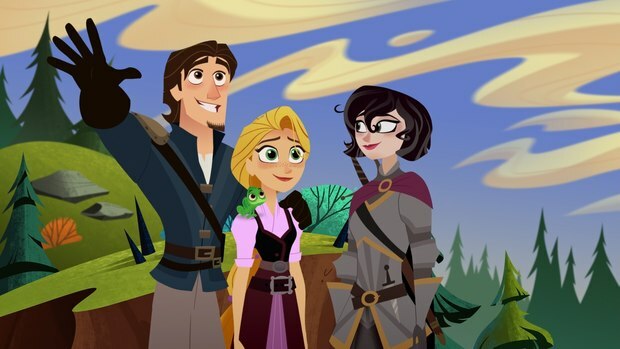 Of the others (I'm including Proxi because we do hope this show will redeem her eventually before the end of episode 40) I could picture Em, Piper and Proxi being made honorary protectors and princesses by Queen Goodfey once she is revived from being a statue due to their heroism and the help and support they gave Kay & Zee as close friends. BUT the only one I could picture being enthused about wearing a tiara is young Piper, mainly because she'd love the prettiness and honor of it but might not think much about the responsibility weight of being a royal family member that comes with it, whereas her 4 elder sisters would. I even tried to think would Kay wear a tiara if she were not a princess originally or was but could make the decision herself? Maybe! She is a girly girl and likes pretty things but she's only gradually learning to come into handling the responsibility involved with the crown and that might make her a bit reluctant, at least at first.